In a post-apocalyptic 1950’s France, food has become so scarce that people have resorted to dire means. Louison is an unemployed circus clown down on his luck until he finds an ad for a delicatessen looking for a handy man. In exchange for food and board, Louison is in charge of doing odd jobs for the delicatessen’s butcher, Clapet, and all the tenants who live in the building above the shop.. All is not what it seems, however, as Louison soon discovers that the previous handymen were fattened up by the butcher and ultimately became the “source” for new meat to feed the building’s tenants. Further complicating things, some of the tenants learn to like Louison, including Clapet’s daughter Julie, who even falls in love with the doomed man. Desperate to save him, Julie makes a deal with a group of subterranean dwellers/rebels who disavow meat (no, not vegetarian CHUDS!) to rescue him. Shot prior to The City of Lost Children, Delicatessen shares the same great visual style and atmosphere. Filled with wonderful quirky characters, beautifully orchestrated scenes, and clever scenarios that all come together like a giant life-size version of the game Mousetrap. 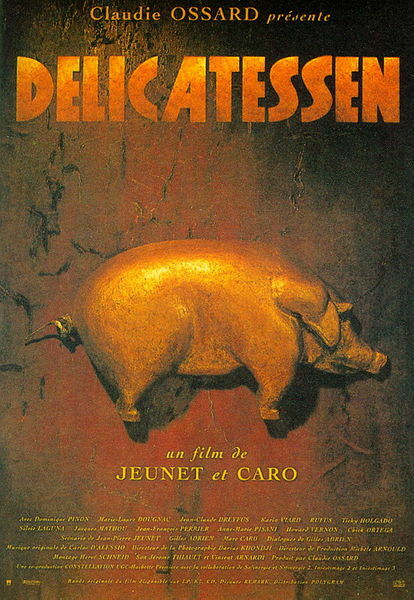 If you are in a mood for something dark and fun, then give Delicatessen a taste. Awards: Won Cesar award for Best Production Design and nominated for Best Cinemtography, Costume Design, and Music. Like a dark Terry Gilliam fantasy, The City of Lost Children is a feast for the senses. 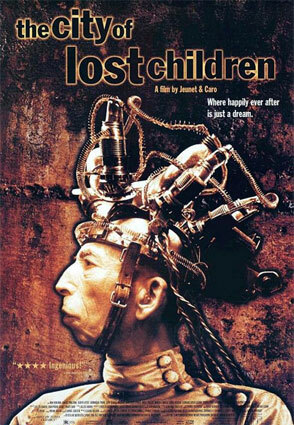 Written and directed by the team of Jean-Pierre Jeunet and Marc Caro, The City of Lost Children tells the story of One, a former whale hunter who is now a sideshow strong man, and an orphan girl/thief who he befriends named Miette. Together they look for One’s stolen friend Denree who he affectionately calls little brother. Upon their search they cross paths with all kinds of characters including a man who can not dream, a religious cult who kidnaps children, and even mind-controlling fleas. The City of Lost Children is a fun, quirky, and beautifully shot French film created by the same director that would later go on to direct Amelie. This movie is filled with imagery that would appear to influence later works such as the film Dark City and even the Borg of Star Trek, although this is pure speculation. 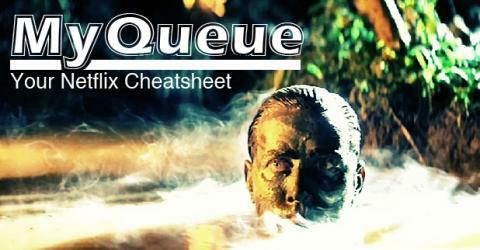 As further evidence of this film’s creativity, the actors were made up in white face and color corrected until flesh-toned in order to achieve a slightly skewed color scheme (source: IMDB).